For brides-to-be who are set to tie the knot this spring, wedding season is already in full swing. Along with the major decisions surrounding the décor, venue and dream dress, bridal makeup and hair can help to complete the fairy tale. With the constant snapping of photos and hasty uploads to social media, blushing brides will certainly want to achieve a flawless glow for their wedding day. As Spring 2017 nuptials loom, Real Style sat down with local makeup artist Jen Evoy at the recent 2017 WedLuxe Show at the Carlu in Toronto. 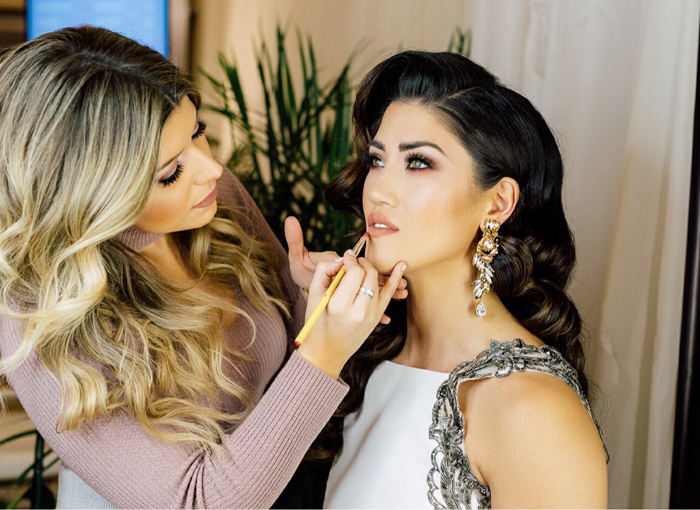 The Toronto-based beauty professional and owner of Jen Evoy Makeup Studio specializes in bridal looks, and began her career ten years ago. 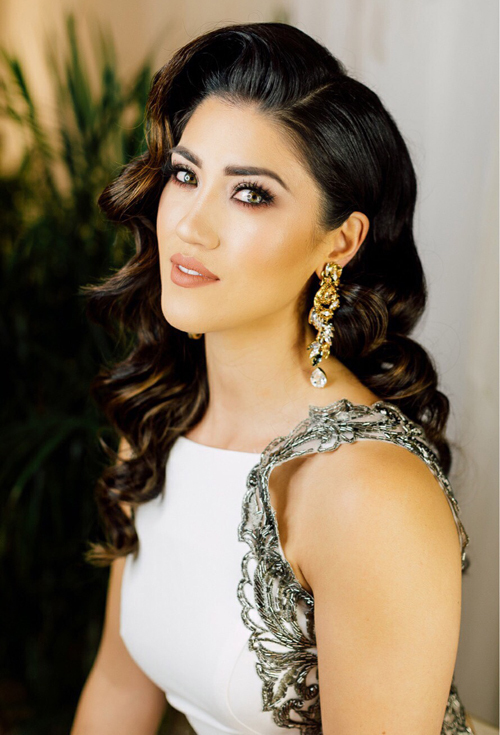 Evoy spoke to us about emerging trends in bridal makeup and hair, along with her most effective tips for maintaining a perfect visage on the big day. Real Style: What are some bridal makeup trends you see for spring? Jen: Before, the winged liner was really in style, and now we’re noticing a shift from that. It’s a lot more about softer and more blended looks. Instead of using black for smokey eyes, it’s more about the mauves, taupes and all neutrals. It’s a bit more understated than in previous years. Real Style: Do you have any favourite lip colours for the season? Jen: I’m a huge fan of liquid lipstick. The reason for that is because it really holds all day, and it doesn’t bleed or smudge. I really love that. Again, the soft, dusty mauves are really in style. They’re always great for brides, pink is timeless. Also, you can never go wrong with a coral, peach colour, which is also timeless. Real Style: Who are some of your celebrity makeup icons to take wedding day beauty inspiration from? 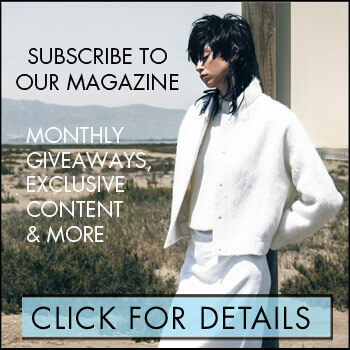 Jen: Kim Kardashian! The Kardashians do have the best makeup artists in the world. I really look up to the makeup artists who work on them, and they really inspire me. The trends they do are always flawless. Real Style: How have bridal makeup trends evolved over the past few seasons? Jen: They’ve evolved so much. I remember when I got married five years ago; I barely filled in my eyebrows. I didn’t do a lot of contouring, highlighting or airbrush, and now it’s really about the different steps for prepping your skin. In the past, makeup artists very lightly touched the brows with some powder. I really think [the evolution of makeup] is because of social media. It’s helped people to see what’s out there, and it helps inspire people on a daily basis. Real Style: What are your best makeup tips for looking fresh on your wedding day? Jen: One thing I highly suggest is airbrush. The reason why is because airbrush is a silicone base. It creates a film on top of the skin, whereas makeup (the liquid base) is absorbed into the skin as the day goes on. Airbrush tends to last a lot longer, and it looks fresh because it gives the skin a much better glow. Also, you really want to prep your skin with the right moisturizer, whether you’re oily or dry, and the right primers. You want to set your skin based on your skin type as well. To keep it fresh throughout the day, if you’re really oily, maybe a little bit of a blotting paper with powder. Real Style: Tell us about Spring 2017’s major bridal hair trends. Jen: Many of brides last year asked us for Victoria’s Secret hair, and that’s kind of where the bridal field is going. The original tight, standard curls are now more effortless waves, and that’s very runway inspired. If you watch fashion shows, it’s either pulled back into a ponytail or very natural waves. I’m definitely seeing those brought into the bridal industry a lot.